Carl Hasch – private collection. 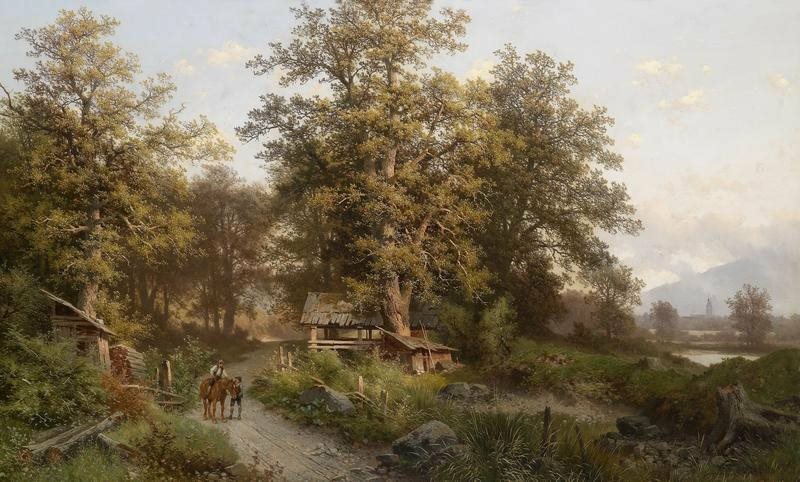 Title: Encounter on the Country Road. Date: c. 1850s-1890s. Materials: oil on canvas. Dimensions: 70 x 116 cm.. Sold by Dorotheum in Vienna, on April 12, 2011.. Source: https://78.media.tumblr.com/4095154e2b142b4f0aab46dc535c5d36/tumblr_ow9sjryfqR1soqrhbo1_1280.jpg. I have changed the light and contrast of the original photo.